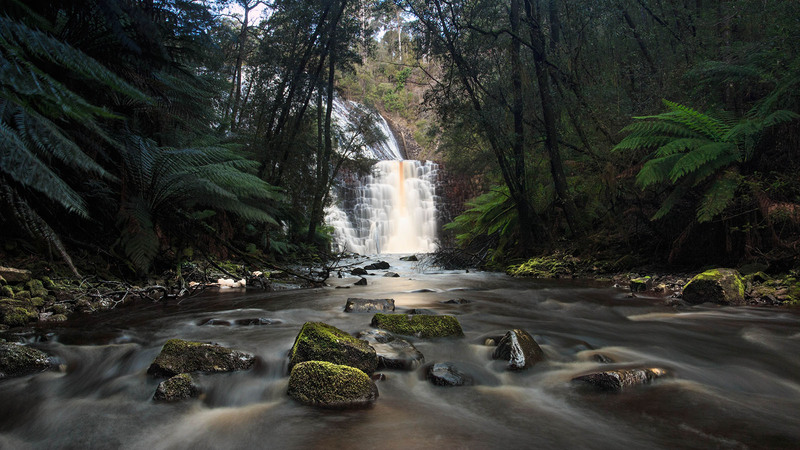 Dip Falls is situated in a remote region of North-West Tasmania in the Dip River Forest Reserve, along the Dip River. 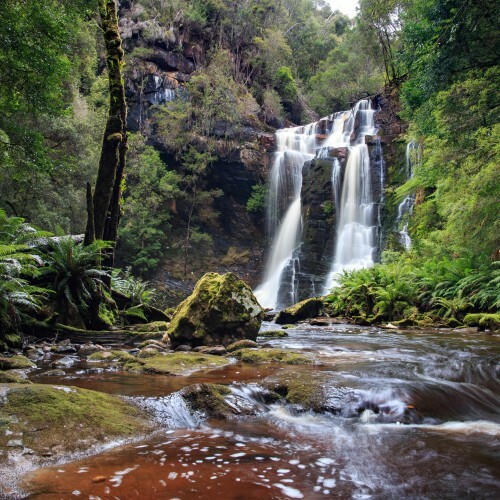 Access to the waterfall is mostly sealed road from the Bass Highway, turning southwards along country roads, with the last few kilometres of unsealed track. 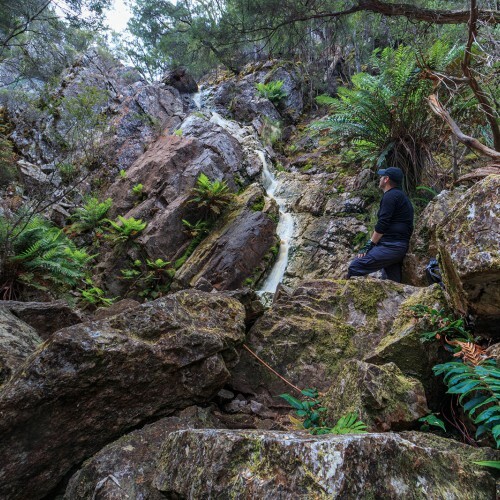 From the carpark, two trails lead off to a pair of lookouts providing different perspectives of the two-tiered waterfall. A newly constructed staircase descends beside the imposing upper tier of the falls, leading to a lookout directly across from the lower section of Dip Falls. 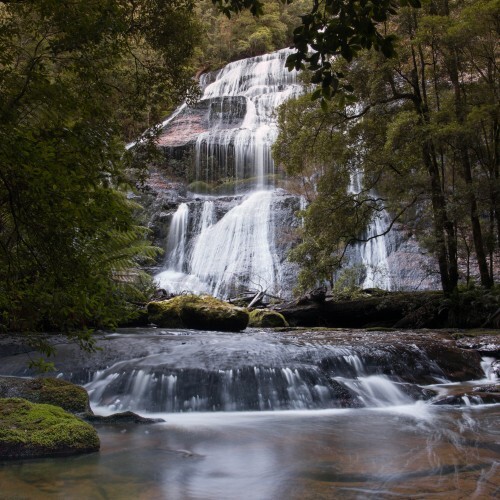 Back at the main carpark, continuing along the road across the bridge over Dip River will bring you to a second track, which winds through the forest for a short distance before coming to a lookout with a spectacular view of the upper falls. While both vantage points are well worth visiting, the upper lookout is far easier to access for those with mobility issues, and is signposted as wheelchair accessible. 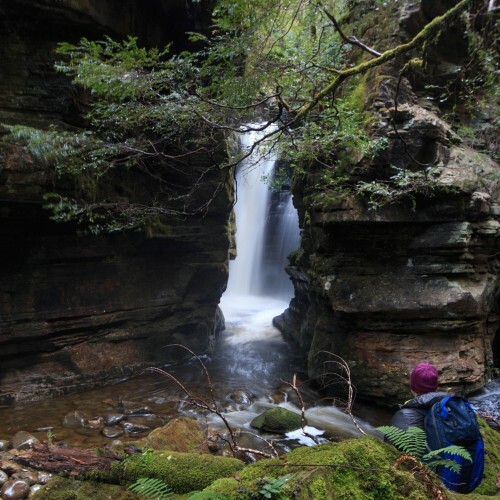 Dip Falls retain some water all year round, however the flow varies greatly from a raging torrent in winter and spring to a thin trickle in summer, so timing is important in ensuring a worthwhile visit to the falls. Driving a little ways further up the road will bring you to the "Big Tree" short walk, also worth a visit if time allows.